As my thoughts are on Mother's Day, I knew I wanted to make something special and unique for my awesome mom-in-law, Joan. 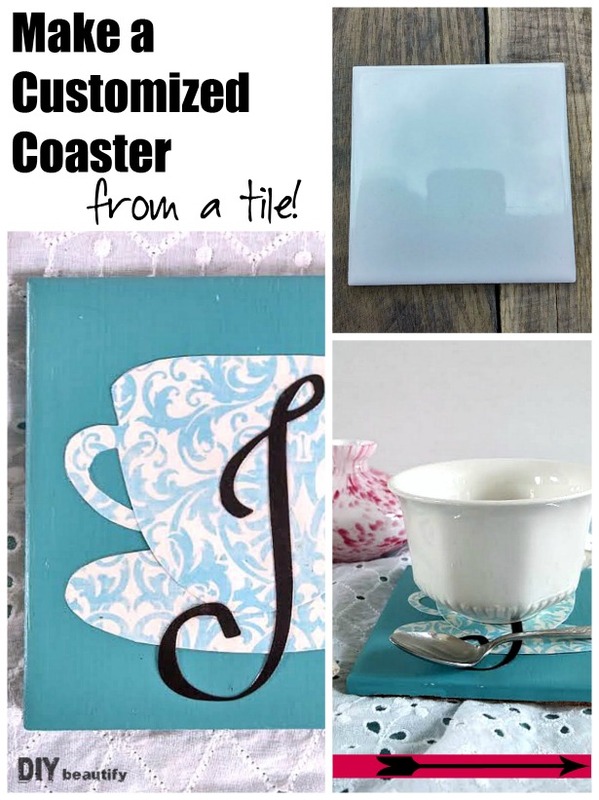 So I decided to make her a custom coaster with a pretty blue and white teacup and saucer on it, along with her initial. She's had a strong influence on my own love of blue and white dishes! 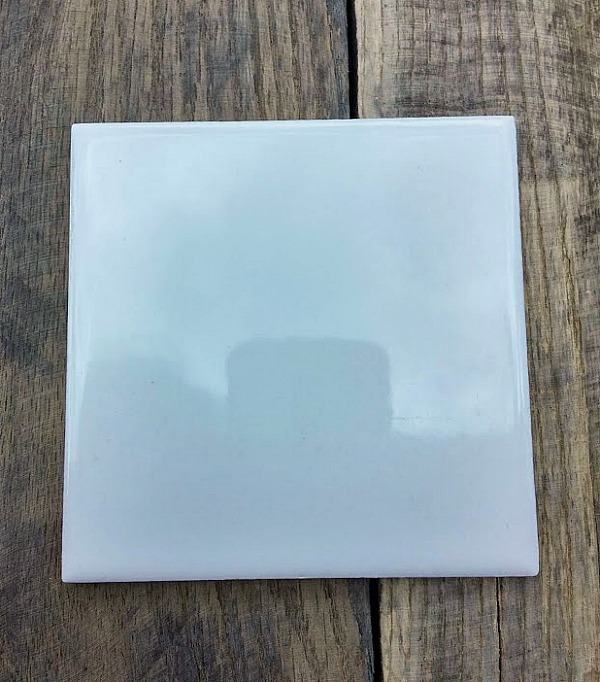 I picked up some plain white tiles at my local Habitat ReStore several months back. They were the perfect size for my DIY coaster, at 4x4 inches. This post contains affiliate links (*); click here for my full Disclosure Policy. The surface was slick and shiny, so I painted it with a coat of turquoise chalk paint. 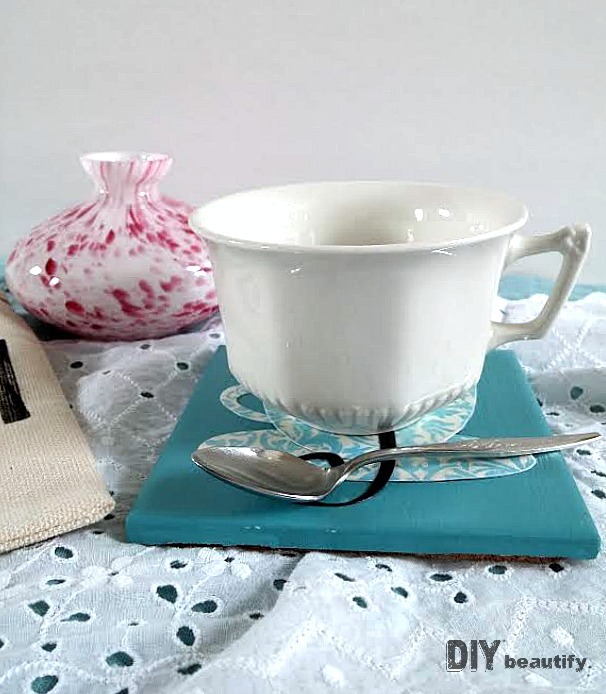 I went online and found a teacup and saucer image that I liked and printed it out. I didn't choose it for the colors, more for the silhouette. 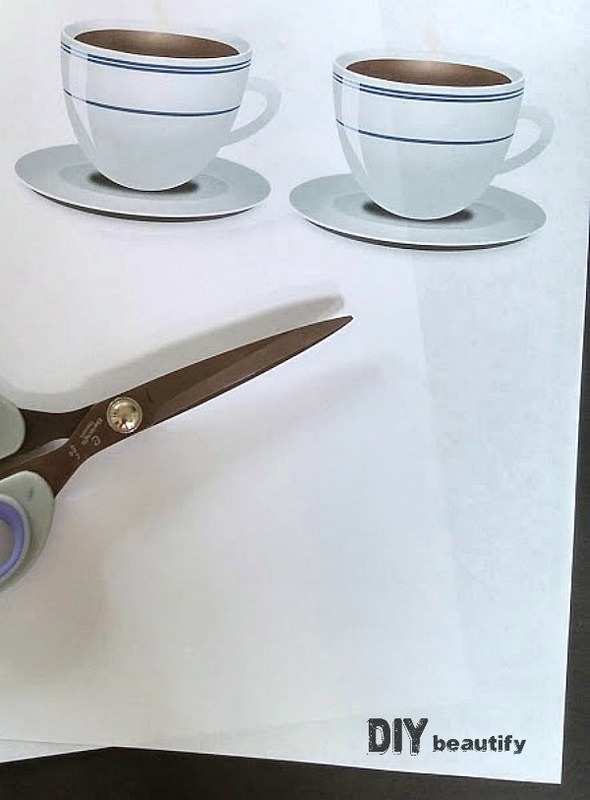 I cut out the cup and saucer (the second one is just there for reference). Then I glued it onto the back of a piece of scrapbook paper* that I found from Hobby Lobby, and cut it out. 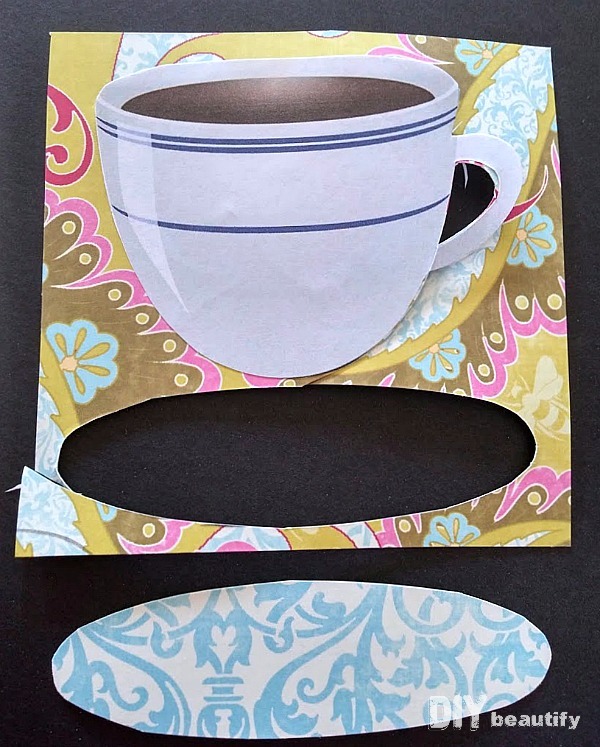 When I flipped it over, I had the cup and saucer cut from my chosen paper, this pretty blue and white pattern. My Silhouette machine* has become an invaluable crafting tool, and I used it for this project too, cutting out a capital J in a decorative font. Once all the pieces were ready, I assembled them all together using Mod Podge*. I let everything dry and then brushed a coat of Mod Podge over the top too. A few coats of a spray sealer* ensured that my project is water-resistant. The final step was to add a cork bottom. 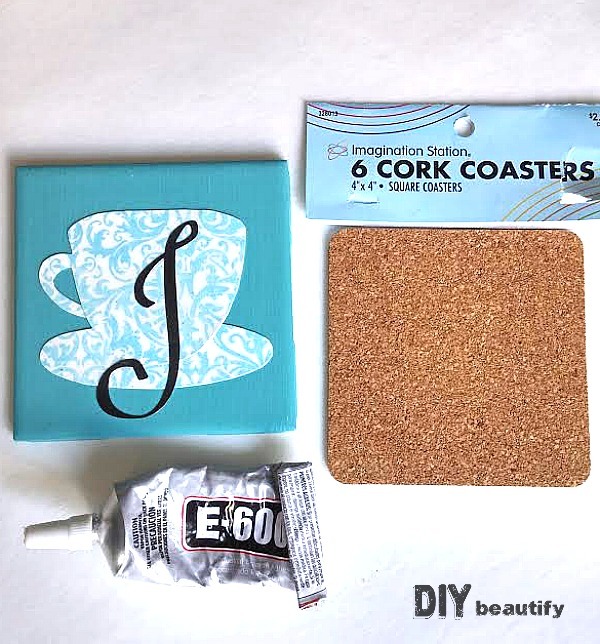 I found a set of cork coasters* at Hobby Lobby and glued one on using E-6000* glue. This glue smells really bad, but it does an amazing job of permanently securing two surfaces together. 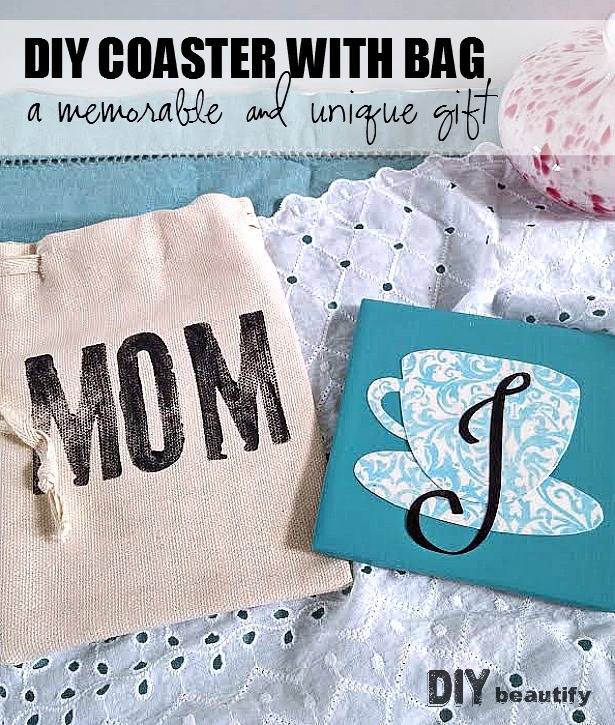 To present my DIY custom coaster, I added the word 'MOM' using alphabet stamps* to a small canvas sack I found in the Target Dollar Spot. It was the perfect size for the tile and finishes off the gift so nicely! I know my mom-in-law will enjoy using this when she has a cup of tea. This project is so quick and easy, anyone can do it! 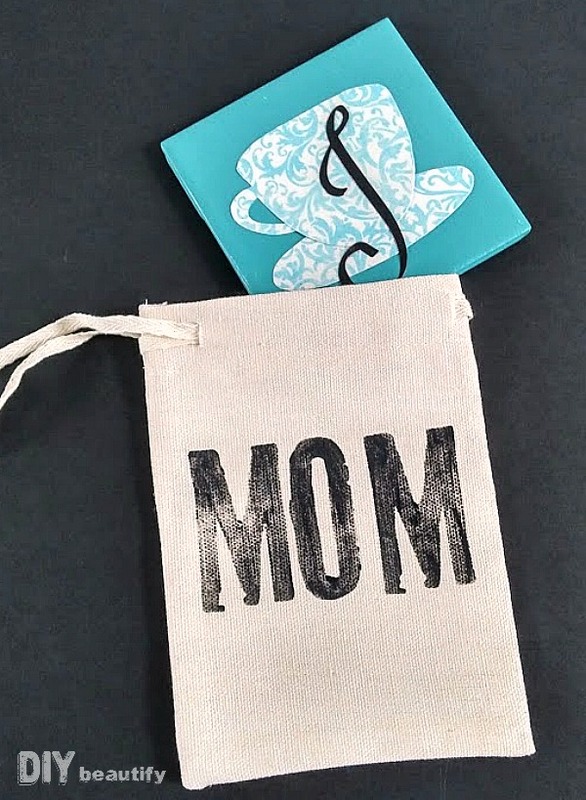 How about making one for your mom...or even as an end-of-year gift for your child's teacher? You can personalize it any way you want! This project was part of the monthly Make It Challenge that I participate in with a talented group of other bloggers. 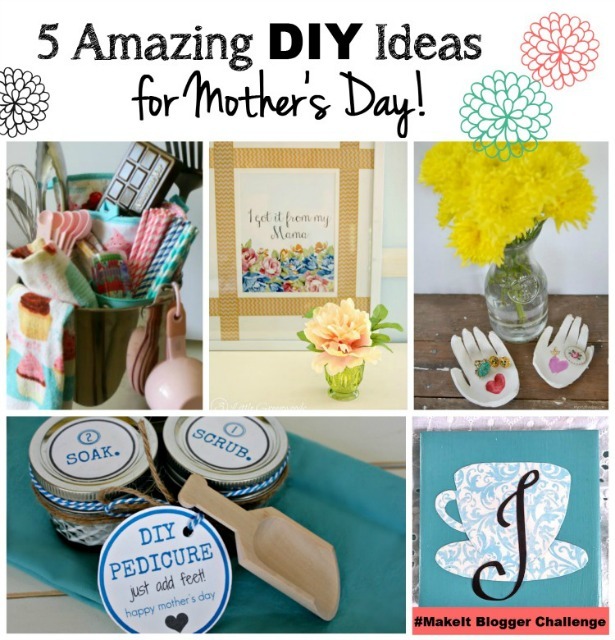 Be sure to click on the links and check out all the other great DIY Mother's Day Gift Ideas. This is a great idea! I love the color! Great gift! 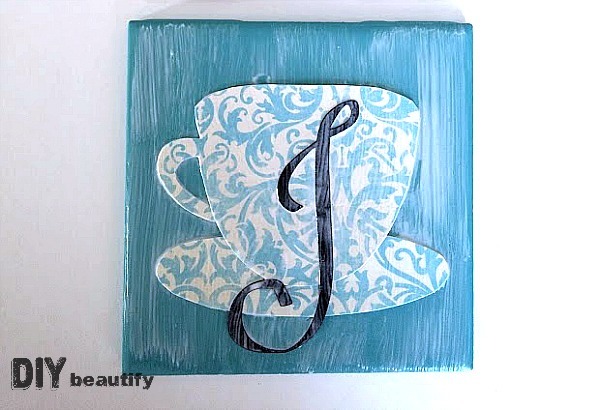 A very sweet daughter in law, very thoughtful of you to do this as she likes tea and colour blue and the J completes it. I love the gift too, it will cost quite a bit to buy this from outside I think, but yours is made out of love and therefore its prizeless. Thanks Maria for the sweet comments!